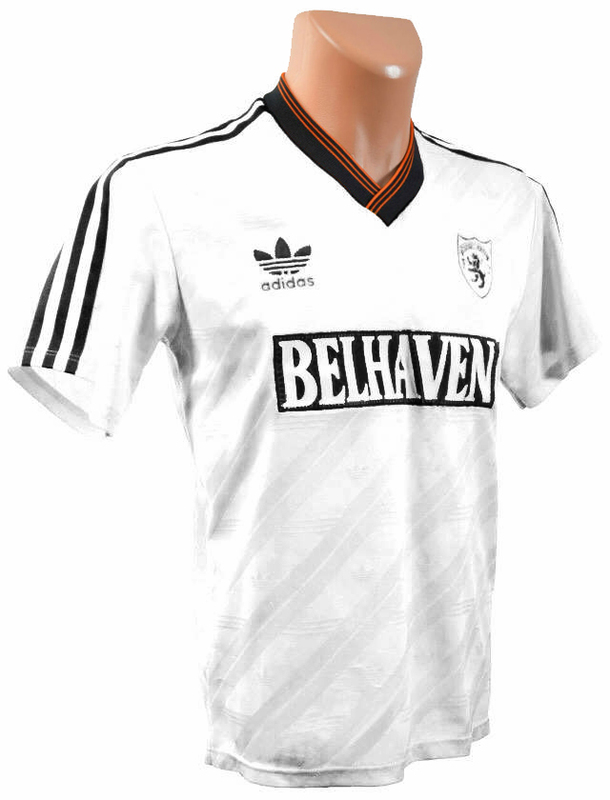 As with the 1988/89 Home kit, the Away kit was exactly the same as the previous year, with one quite obvious change. The pattern in the shirt remained, with the diagonal and horizontal lines including the Adidas logo throughout. The black and tangerine trim V neck had the same overlapping design, and the Adidas stripes ran from the collar down each sleeve. The black shorts and white socks again had the three stripes of Adidas as trim. 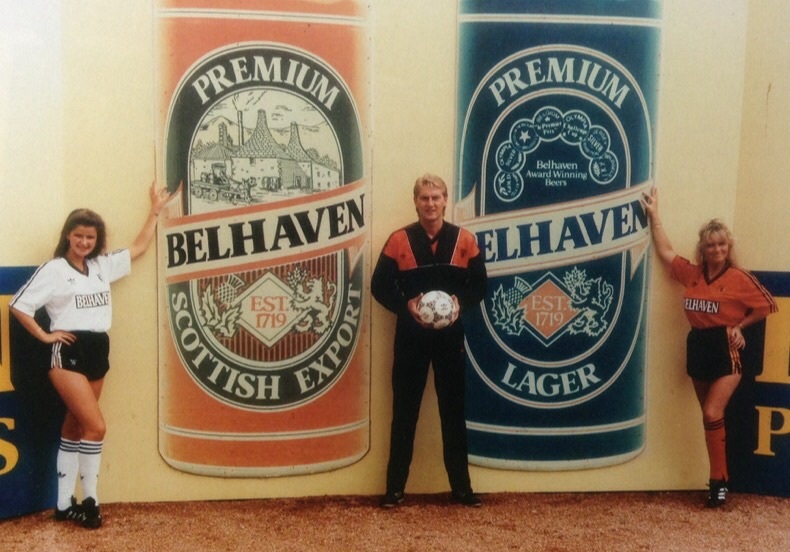 As with the Home kit, the Belhaven Breweries logo was changed from the previous year, with Belhaven written in bold white text and enclosed in a black panel. The first match this kit was worn was possibly in the League Cup 2nd round win over Partick Thistle in August, but it was definitely worn in the League Cup semi-final versus Aberdeen at Dens Park in September (TBC).